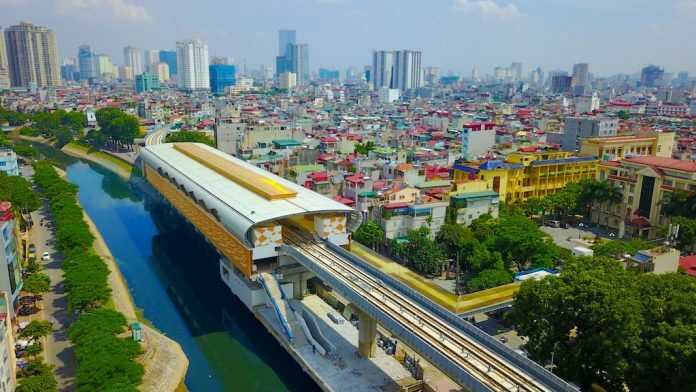 Jason Rush, a communications specialist covering Southeast Asia at the Asian Development Bank (ADB), writes about the development of Vietnam’s first metro system, which is set to launch its first phase later this year. In the popular 1980s movie Field of Dreams, a rural American corn farmer, played by the dashing Kevin Costner, hears a voice in his field whisper: “If you build it, he will come.” He proceeds to mow down the crops upon which his family’s livelihood depends, and builds a giant baseball field amid the remaining rows of corn. Lo and behold, a baseball team from 1919 appears, proving loads of fun, and eventually paving the way for the farmer’s reunion with his deceased father. Everyone lives happily ever after. Anything is possible in Hollywood, but when it comes to real-world urban transportation projects, Field of Dreams optimism normally gives way to the stark reality that simply building a new metro rail or bus rapid transit system does not guarantee that passengers will actually use it. 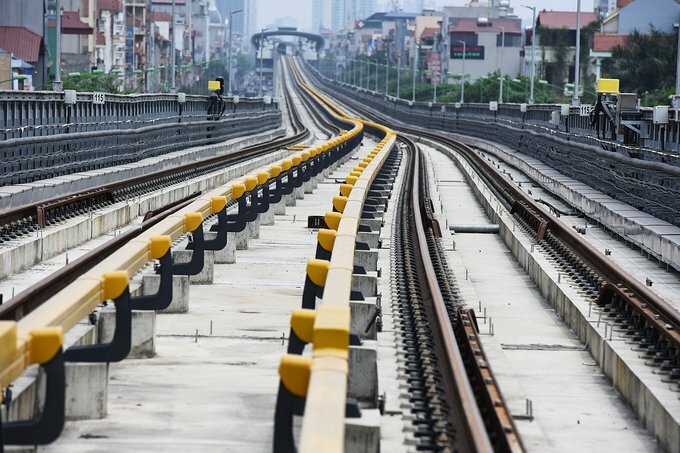 This was the dilemma we were facing two years ago in Hanoi, where ADB and other development partners are supporting the construction of Metro Line 3, one of the first three metro lines planned for Vietnam’s capital city. Citizens, passionately devoted to their motorbikes and cars, were not generally enthusiastic about making the switch from private to public transport. 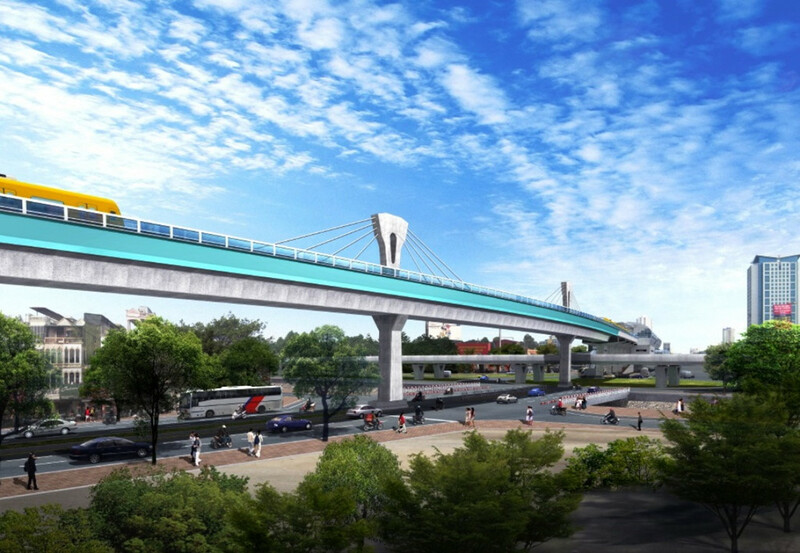 While the Line 3 project team was squarely focused on building a world-class metro line from day one, not much emphasis had been placed on some of the other key components that ultimately ensure a metro system’s success, such as quality customer service, advertising and commercial to boost revenue, and innovative marketing to encourage people to ride—instead of drive—to work. With funding from ADB and the Urban Climate Change Resilience Trust Fund, ADB has been working closely since 2016 with the Hanoi Metro Company, which will oversee the entire metro system following construction, to support the development and implementation of a communication and marketing strategy to boost ridership, an advertising and commercial strategy to lay the groundwork for greater revenue generation, and a customer service strategy to ensure future riders have a pleasant experience so they continue to use the metro. When assistance commenced, one key challenge was lack of experience among Hanoi Metro staff in communications, marketing, and advertising. It became clear that capacity development and knowledge sharing would be critical to success. One of the first orders of business was conducting public opinion research to better understand barriers to the adoption of metro as a primary transportation mode, and to see how more potential riders could be persuaded to use it in the future. The research showed that the main motivators for metro use were the “3 Ts” of traffic, time, and trees (the environment). Hanoi is becoming increasingly congested, so the prospect of escaping smoggy gridlock and taking a comfortable train ride home holds great appeal to many people. On the other hand, people identified the “4 Ps” that might dissuade them from using the metro: proximity, public safety, price, and politeness. Commuters are willing to use the metro if they can access it quickly and easily, but not if it takes too long to get to a station. They also want to be assured that it will be reasonably priced, safe to use, and have courteous staff. Armed with this information, the communication strategy focused on enhancing public sentiment about the metro, boosting future ridership and revenue, and ensuring the future system is responsive to community concerns. With more people in Hanoi getting their information from social media than from television or any other communication channel, social media has been central to communication efforts. It has been a particularly important way of engaging people under 40 – the metro riders of the future. Hanoi Metro social media platforms have a green, modern design, with informative messaging focused on building awareness and support for the system. Imagery also drives home the message that the metro is for everyone, including people with disabilities, women, and the elderly. Hanoi Metro’s social media presence has skyrocketed, and between social media and traditional media outreach, over the past year the tone of coverage about the metro system has changed for the better, with a far greater proportion of neutral-to-positive content today. A dynamic public relations firm is also being hired to bolster visibility and outreach on the nation’s leading television, radio, and online news channels. At present a “pull” marketing approach is being employed through public relations and proactive outreach to better familiarize the public with the metro’s benefits. As the time for the metro’s operations nears, more “push” marketing will also be incorporated through point-of-sale promotions, free service samples, and other incentives to boost ridership. To ensure that Hanoi Metro receives the very best guidance as it develops its advertising, commercial, and customer service strategies, ADB has partnered with Tokyo Metro, which is currently developing a revenue generation strategy and roadmap. In most large Asian cities with quality urban transport infrastructure, advertising and commercial revenue comprise a significant double-digit share of operating revenue. Tokyo Metro is also helping develop a customer service model with training manuals and materials, and a customer complaint mechanism. In April, staff from Hanoi Metro, along with representatives from the Hanoi People’s Committee and Hanoi Metro Rail Board (the entity overseeing the construction of Line 3) visited Tokyo Metro in Japan to learn first-hand about best international practices in communication, marketing, advertising, commercial, and customer service in major metro systems. The learned a lot and returned enthused about the future possibilities for their city’s metro rail system. 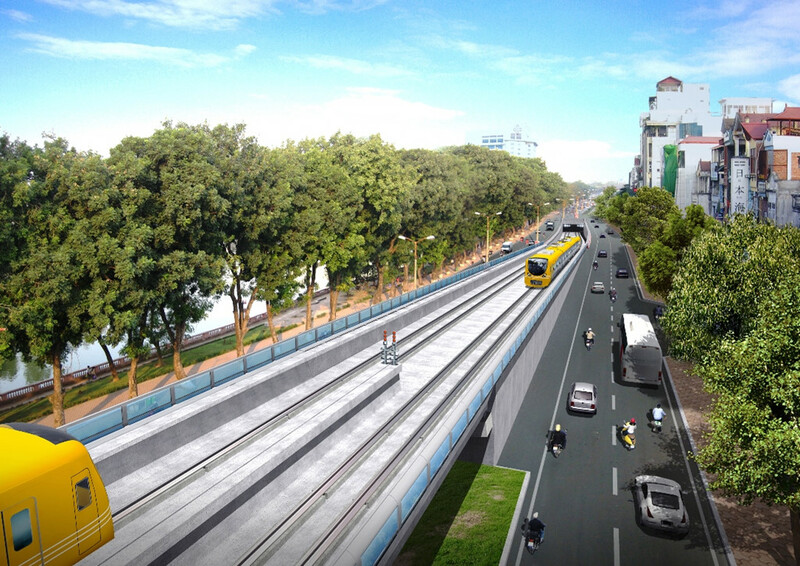 While a great deal of work remains to be done, Hanoi now has a clearer vision than ever about what its metro system could become. 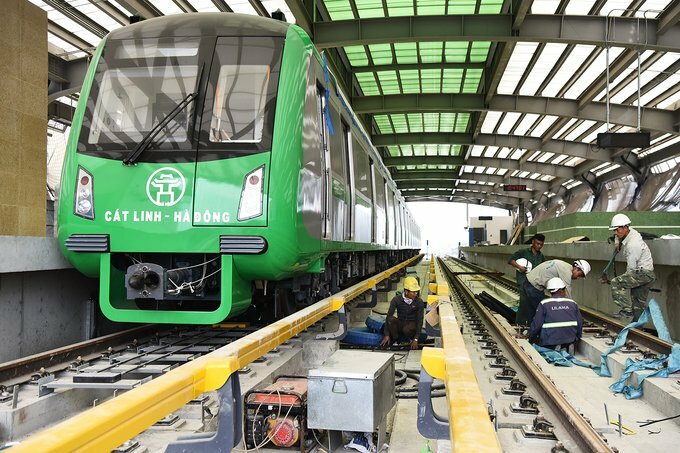 One of the key takeaways from ADB’s work on the Hanoi Metro to date is the importance of ensuring that communications, marketing, advertising, commercial, and customer service are an integral part of the project planning process from the outset. All are absolutely essential for urban transport systems’ success – they should never be an afterthought. Development partners should also never assume counterparts’ preexisting capacity in these areas, particularly when a totally new system is being introduced. And finally, social media should be a central and integral part of every project’s communication strategy. Hanoi is moving beyond the Field of Dreams, and knows that it cannot take future revenue and riders for granted. The city is starting to embrace the value proposition that upstream investment in marketing and communication results in more riders, more revenue, and better sustainable service for the city’s people. This piece originally appeared on the Asian Development Bank’s online blog.